Michael Peterson graduated from the University of Utah’s S.J. Quinney College of Law in 1987. While in law school, Mike was selected as a William H. Leary scholar each semester and he received the Am Jur Award (the highest grade in his class) in Evidence Law, Criminal Procedure, and Juvenile Law. He began his career practicing civil litigation at Richards Brandt Miller Nelson. While working at Richards Brandt, Mike accepted federal cases from the ACLU of Utah. He litigated and won the infamous prison double-bunking case and prison medical care case. 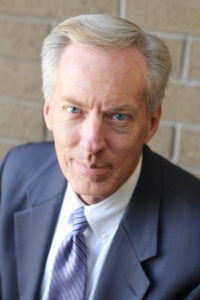 He joined the Salt Lake Legal Defender Association in 1992. He has tried many felony cases, including four homicide cases (two of which he won). Mike has handled over ten capital murder cases and has served as a felony supervisor at SLLDA for 15 years. His greatest pride and joy are his three amazing kids and three adorable granddaughters. Mike enjoys competitive road bike racing and he owes much to the late Judge Anthony Quinn and to coach Earl Xaix. Mike plans to ride until he is 110. Share the road.